Part of our mission here at HaulHound is improving the quality of day-to-day life for truck drivers. Drivers spend an overwhelming amount of time searching for loads to fill their capacity, often while they are out on the road. We strive to help carriers reduce empty capacity by making their lanes easily accessible for shippers to search and then directly connect with carriers to secure freight handling. The goal of this is to reduce the time drivers are spending to fill their trucks so that they can stay focused on the road while still maximizing their capacity. HaulHound was co-founded by a third-generation trucker, so we recognize the need for improved industry conditions necessary to protect the integrity of those individuals out on the road. In continued effort to achieve this, we like to surround ourselves with like-minded individuals and organizations within the industry. 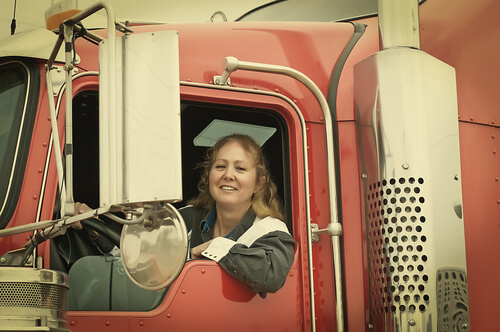 One such organization is Real Women in Trucking. Helping truck drivers is what matters for HaulHound. A crucial part of this mission is ensuring that drivers never lack for loads–and that they have a way to get them, free of charge. This country, and the world, need goods, and truck drivers bring them. Our free reverse loadboard app helps facilitate this process, with an eye to making the lives of drivers easier.